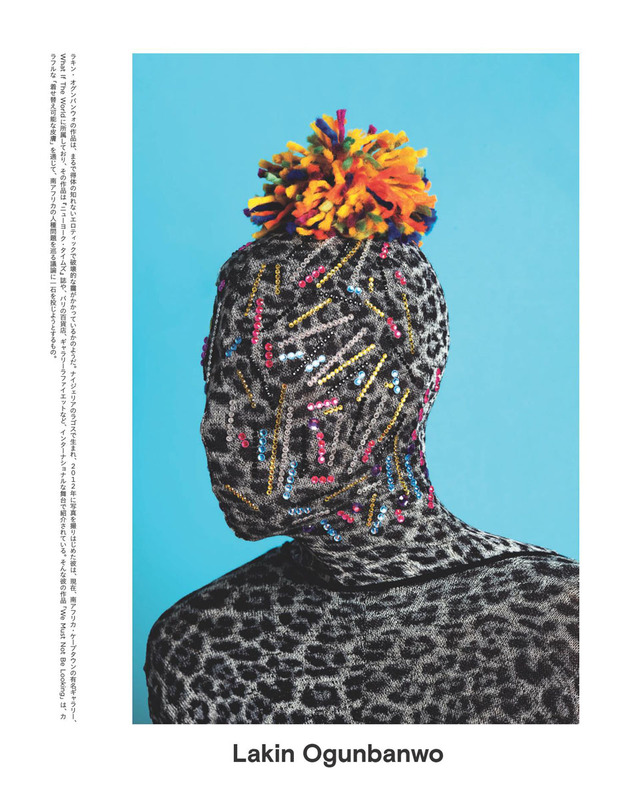 Nataal collaborated with Wired Japan for its October issue, which is dedicated to Africa. The monthly magazine asked us to curate a special insert publication showcasing projects from some of our favourite photographers, artists and fashion designers. Entitled 14 Visions, Namsa Leuba’s Inyakanyaka series graces the cover. Inside, we selected Lakin Ogunbanwo’s body of work We Must Not Be Looking, Paul Shiakallis’s survey of Botswana’s female Marok music scene, Leathered Skins, Unchained Hearts, and Andrew Dosunmu’s Stickmen series, documenting the Sotho people from the Kingdom of Lesotho, which we first exhibited at the 2016 AKAA art fair in Paris. Nadine Ijewere’s personal project, 9-ja_ 17, shot in Lagos and debuted at Nataal’s 2017 New African Photography show at Red Hook Labs, also made the cut. 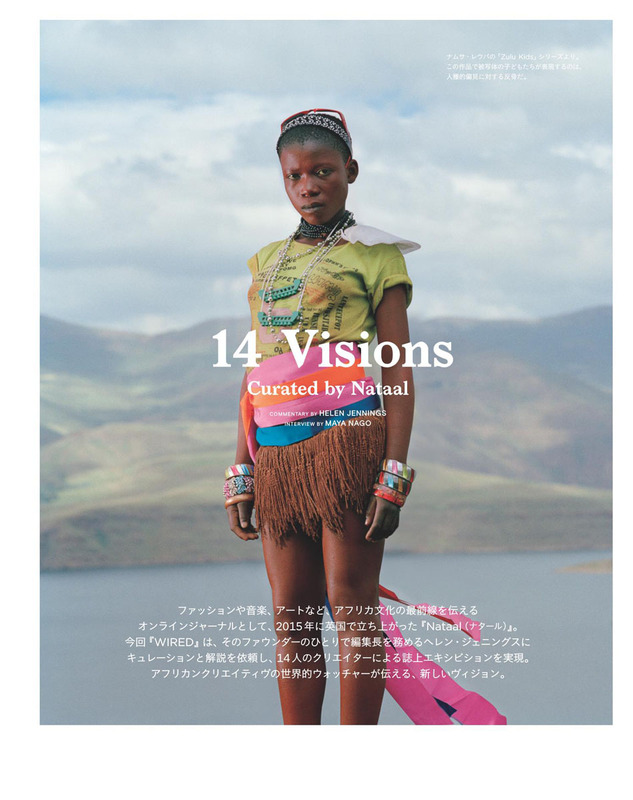 As did Maki Oh’s exclusive SS16 story or Nataal. 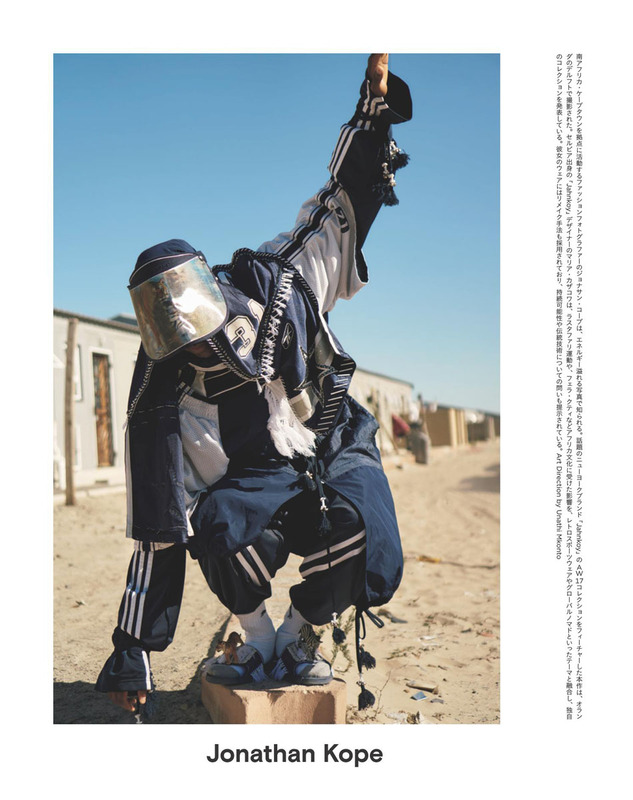 Other fashion moments come from Jonathan Cope, who shot New York label Jahnkoy in Cape Town, Kristin-Lee Moolman's NYC shoot Self Love Is The Answer, Rudi Geyser’s Atlantis shoot featuring the best South African menswear brands, and Kent Andreasen’s story featuring Sudanese designer Omer Asim’s AW17 collection. Hana Knizova and Sabrina Henry’s special story in the remote Colombian village of Palenque sits alongside Kyle Weeks’ Palm Wine Collectors of Namibia (another Red Hook Labs highlight) and Durimel’s romantic images of Los Angeles complete the book.